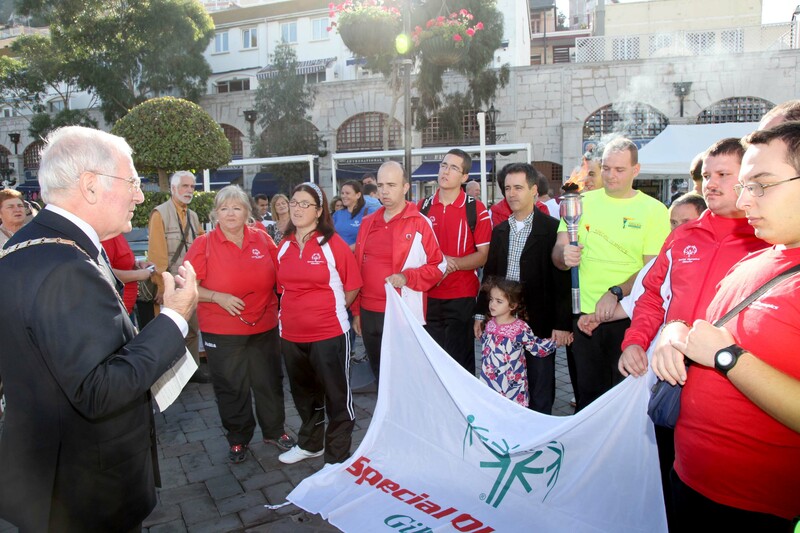 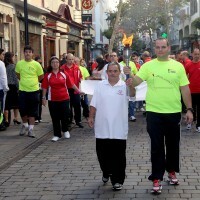 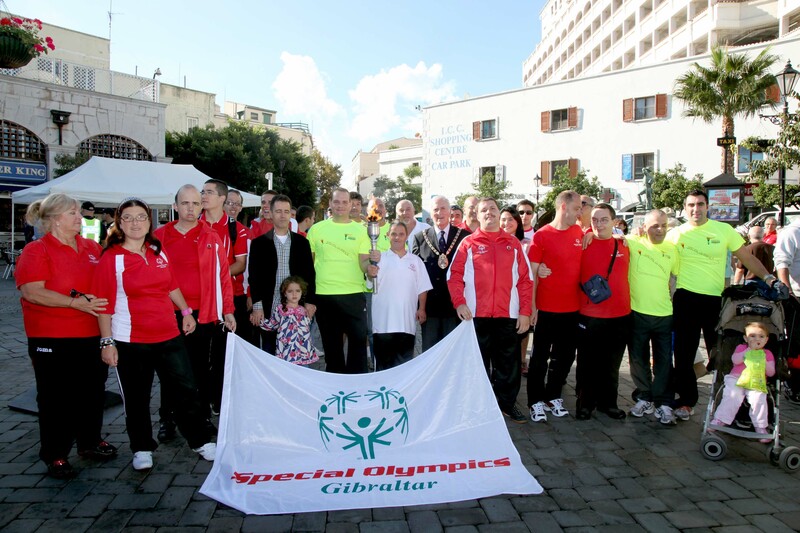 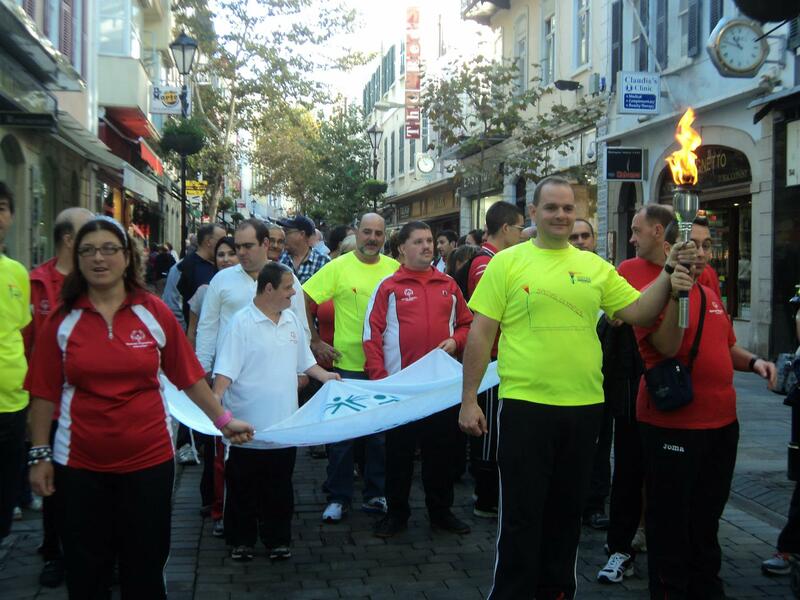 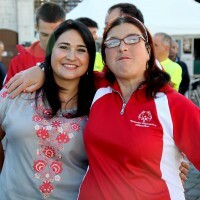 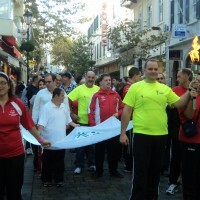 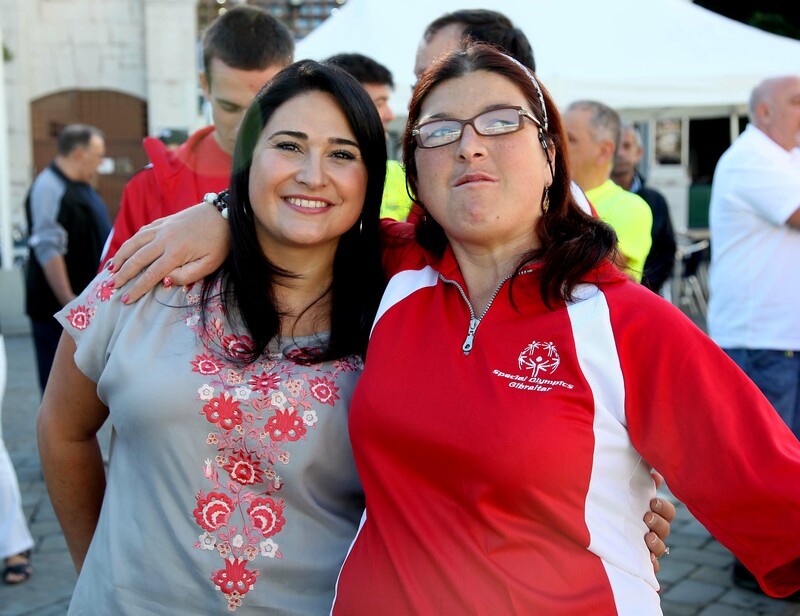 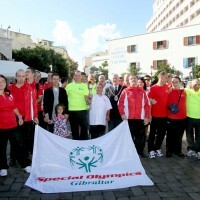 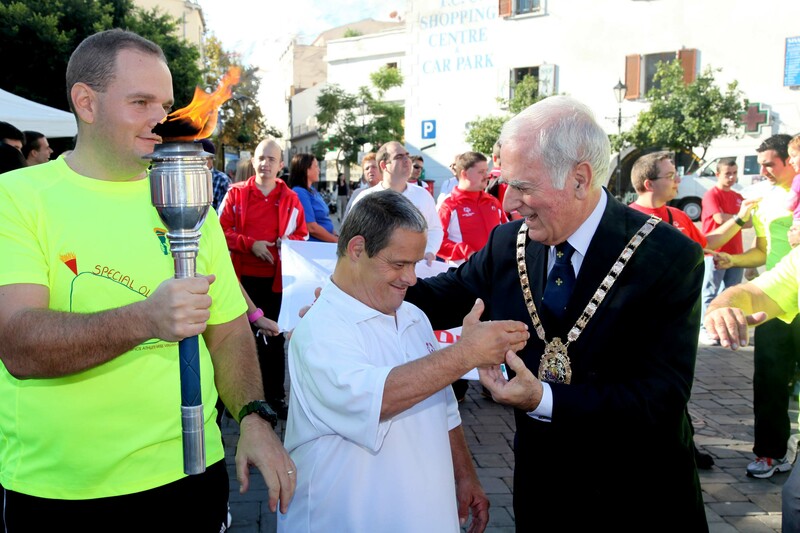 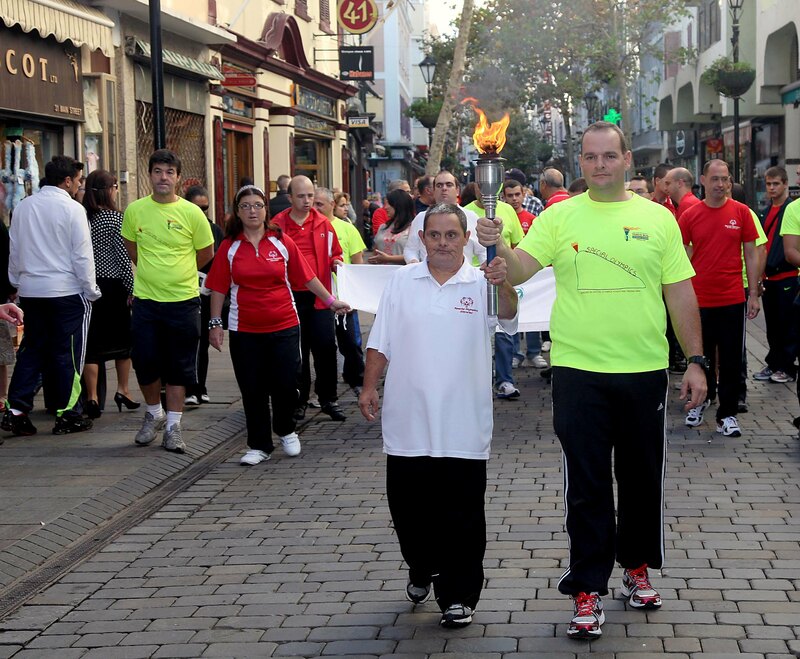 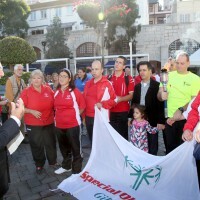 On Saturday 20th October 2012 Special Olympics Gibraltar took part in the celebration walk to mark 100days to the start of the World Winter Games in S. Korea. 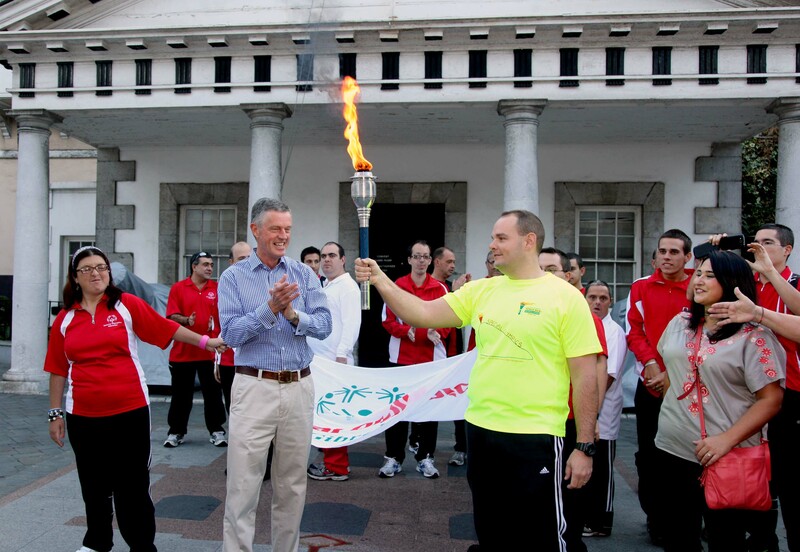 All athletes, including the participating Unified Floor Hockey team and our two snow shoeing entrants together with coaches, family, volunteers and the members of the Law Enforcement Torch Run met outside the Convent, the official residence of the Governor. 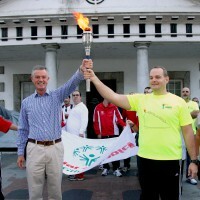 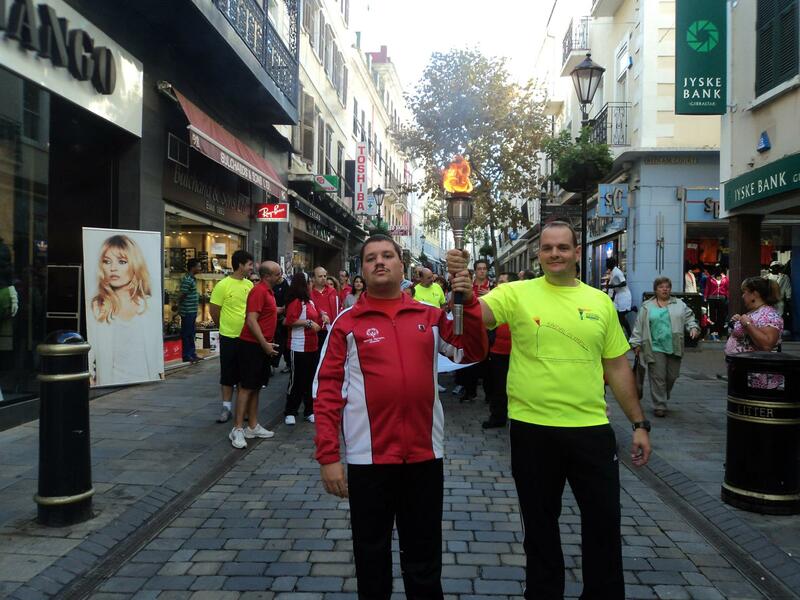 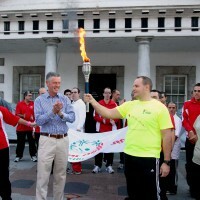 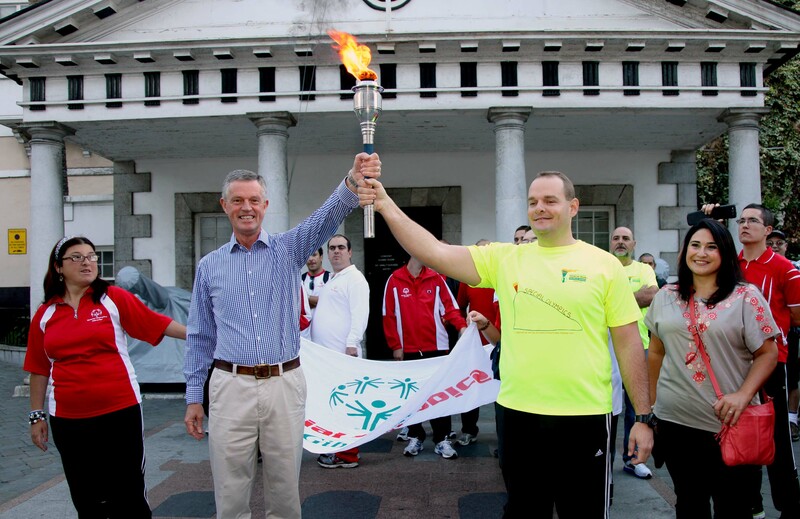 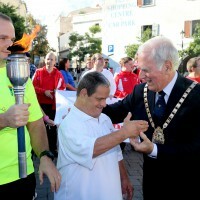 His Excellency, Sir Adrian Johns lit the ‘Flame of Hope’ with Clayton Gomez who led the walk through Main Street to Casemates Square where His Worship the Mayor Mr Tony Lima greeted the athletes on arrival. 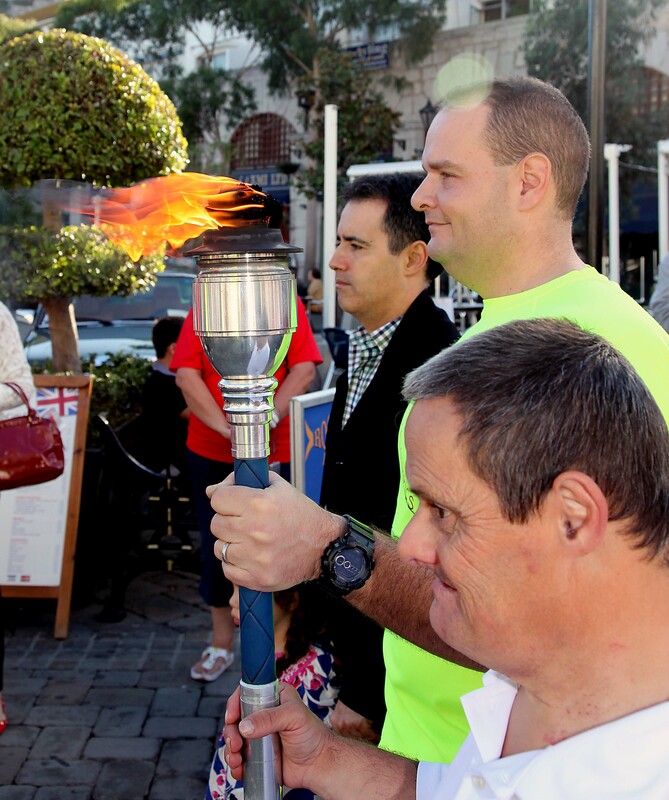 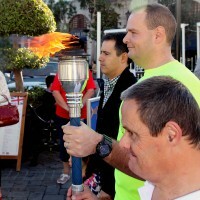 During the walk Clayton alternated the Torch between the athletes giving those who wished a chance to carry the Flame. 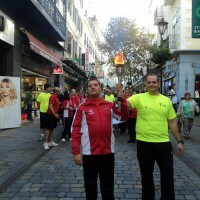 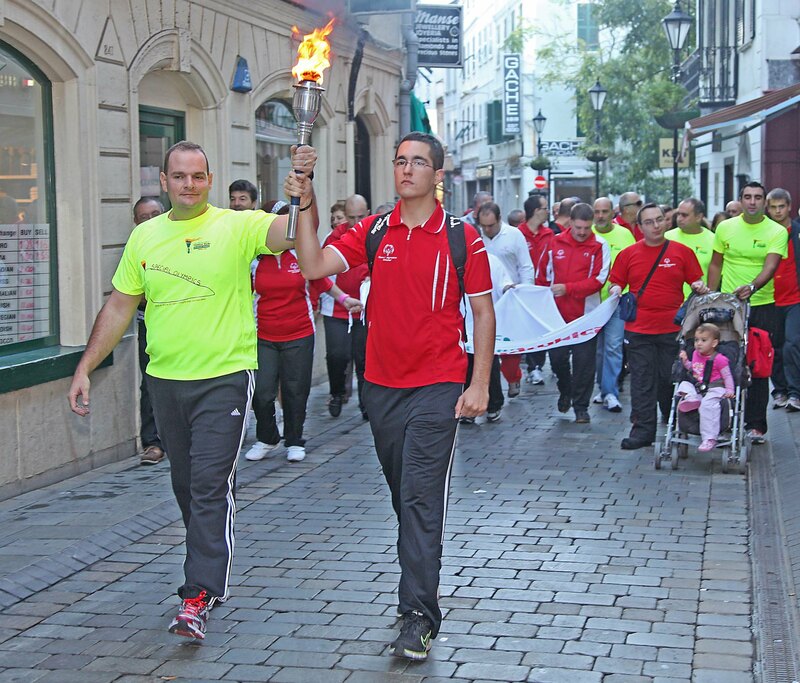 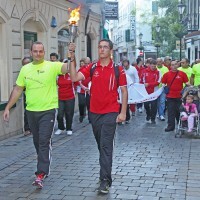 Clayton went on in January to represent Gibraltar and take part in the Final Leg for the Opening Ceremony of the Games which started on 29th 2013.